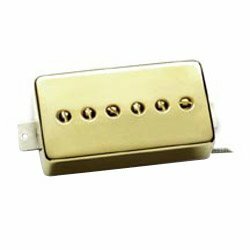 Real-deal single-coil P-90 sound in a direct replacement for humbucker-equipped guitars. Phat Cats provide a great combination of output and high-end response. The tone is big, fat, and punchy with enhanced upper-mids for extra 'cut.' When used together, both pickups are hum-canceling. Choose nickel or gold-plated cover.